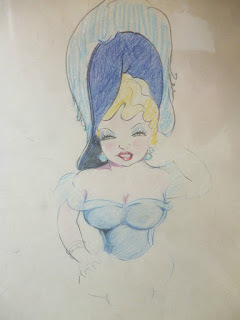 The blog will be updated again at the end of May or early June. 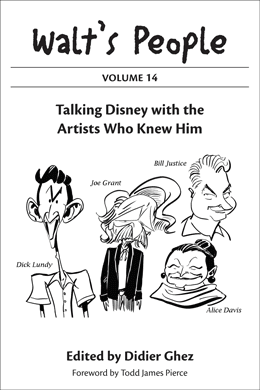 I just learned over the weekend that Tom Sito's book about the history of computer animation had just been released. 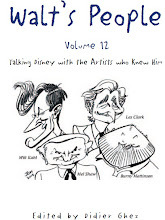 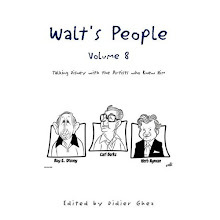 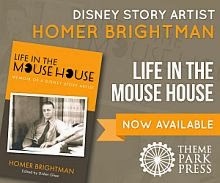 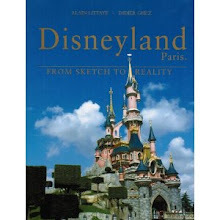 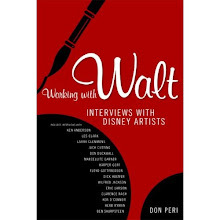 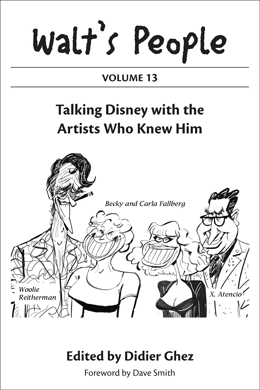 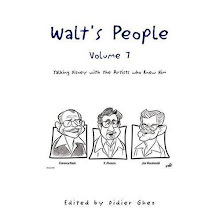 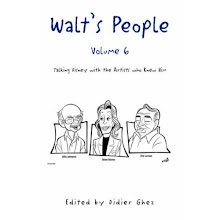 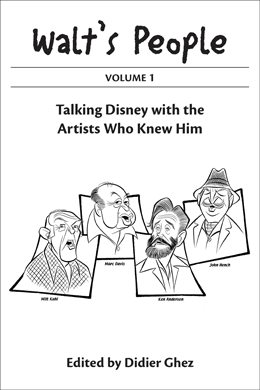 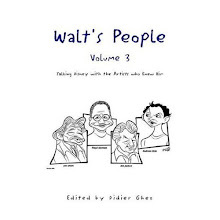 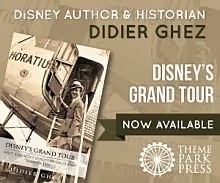 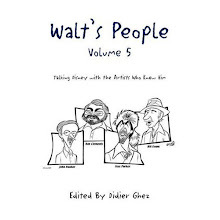 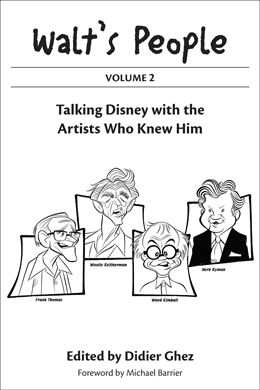 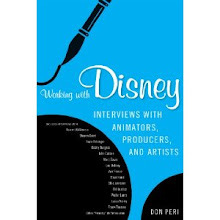 It is a great read and it contains quite a lot of info about Disney, Pixar and... WDI's role in that story. 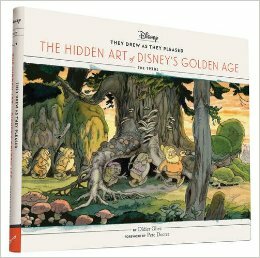 A "must-have" according to my criteria. 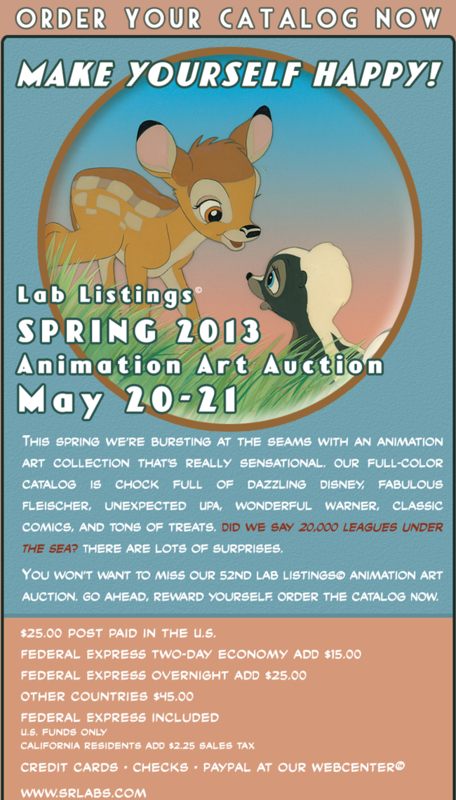 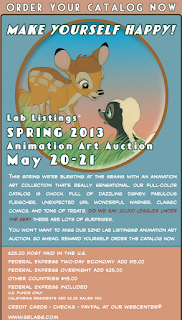 As always, looking forward to the next S/R Labs auction. 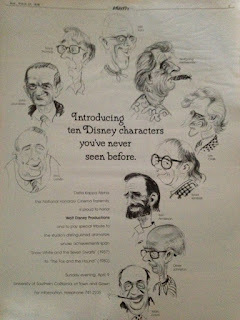 This just in from Gunnar Andreassen (Daily Variety, 1978). [Have you ever seen Walt Disney ridin' on the Big Bad Wolf ? 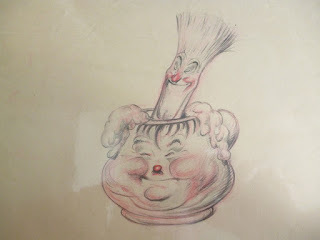 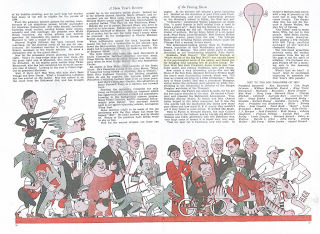 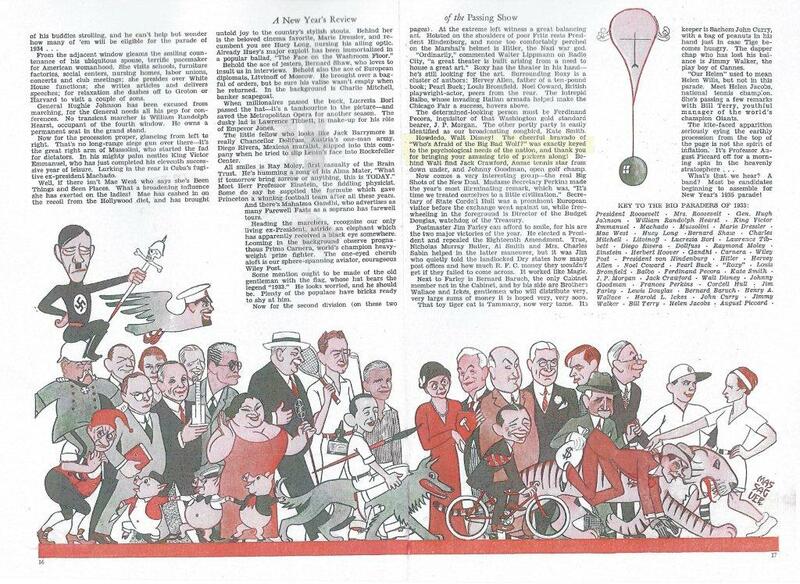 If not, see the enclosed drawings from Hearst's International/Cosmopolitan, Feb. 1934. 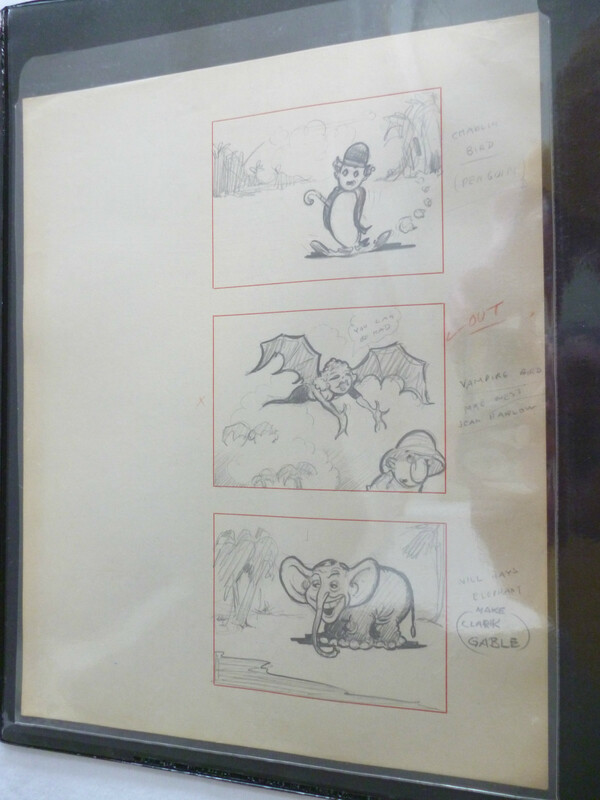 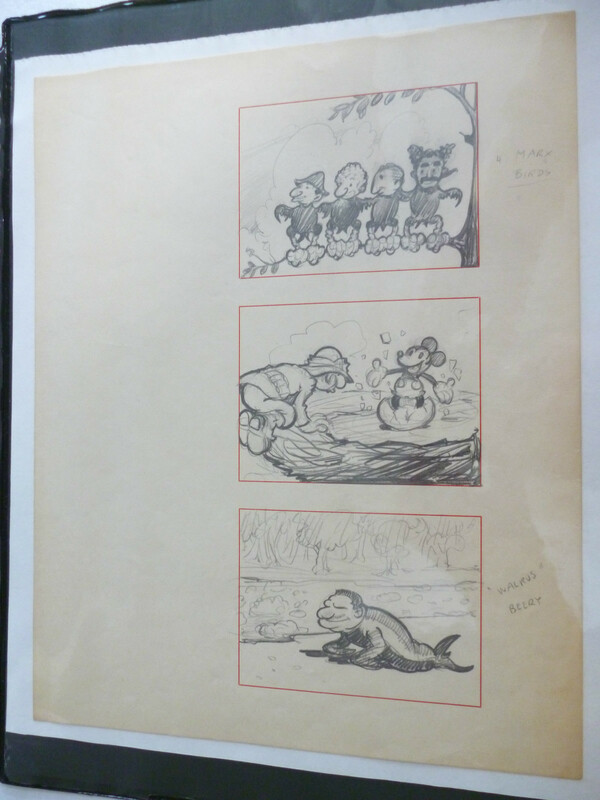 It was made by the Cuban caricaturist Conrado Massaguer, who seems largely forgotten today. 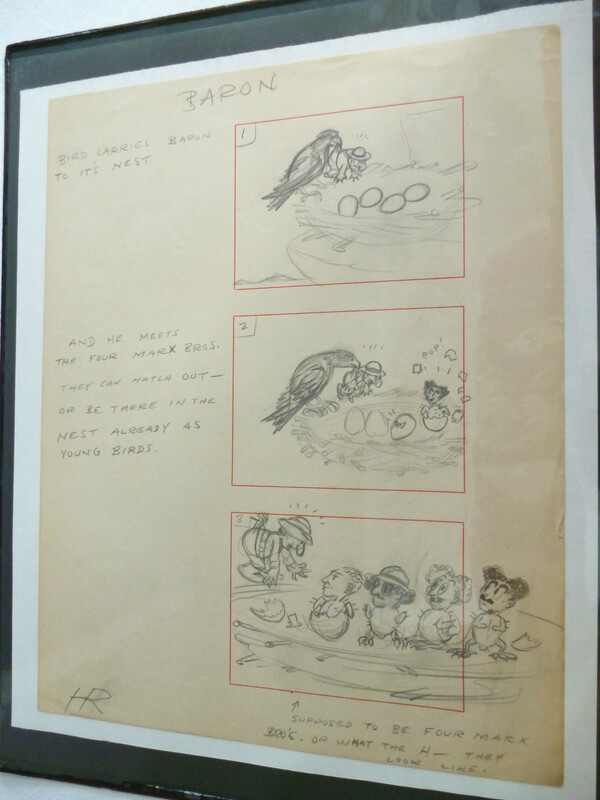 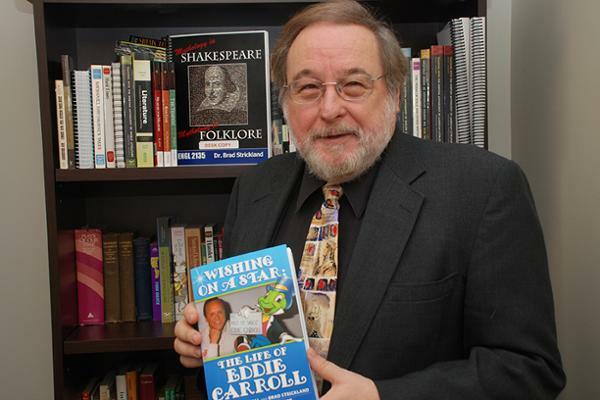 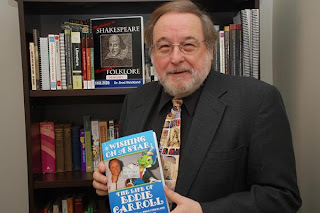 An extract of his life story, ( and examples of this art) see this link. 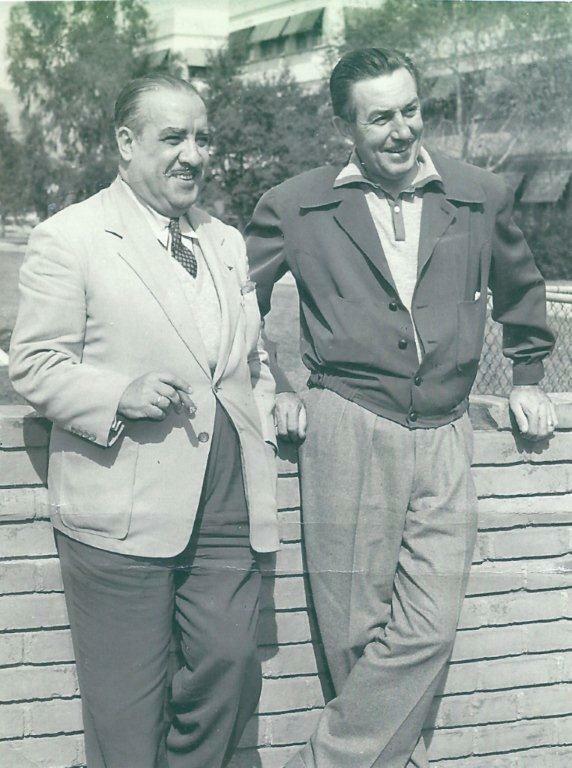 On another page I found a photo of him and WD, taken outside the Disney Studio in 1951. Three fascinating handkerchiefs from Hungary which are currently being sold on ebay. 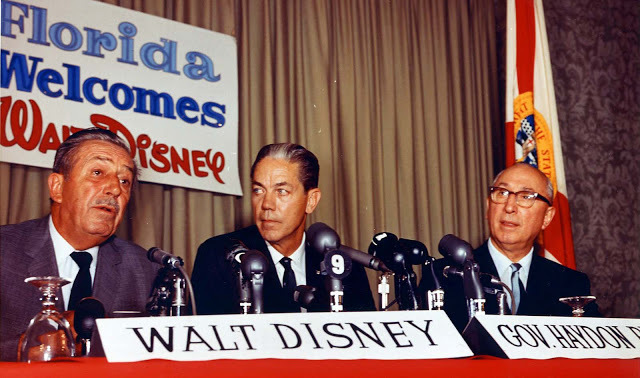 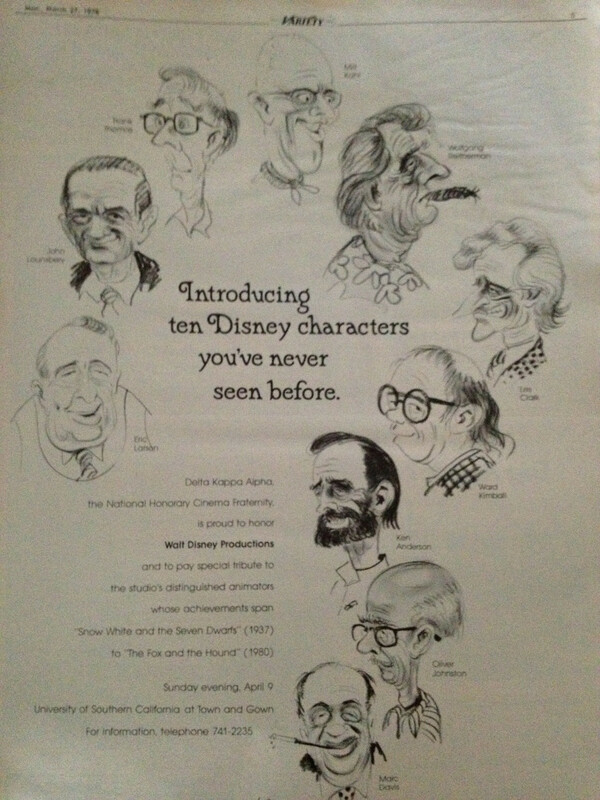 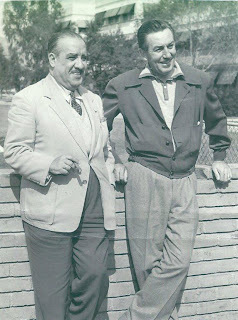 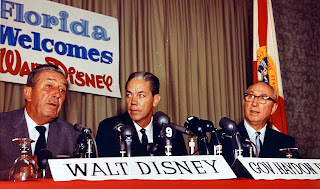 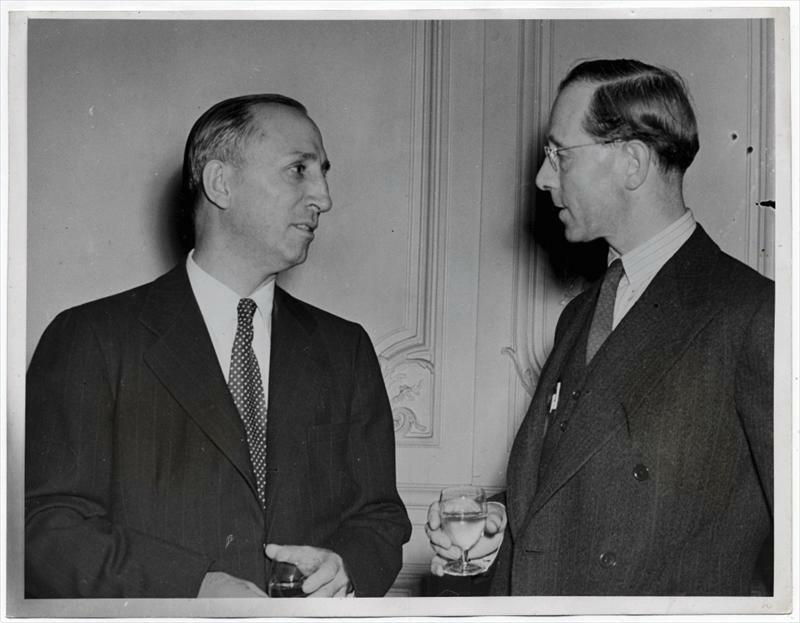 Nice photo of Roy O. Disney and movie critic Jympson Harmon sold recently by Howard Lowery. 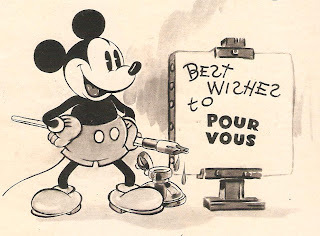 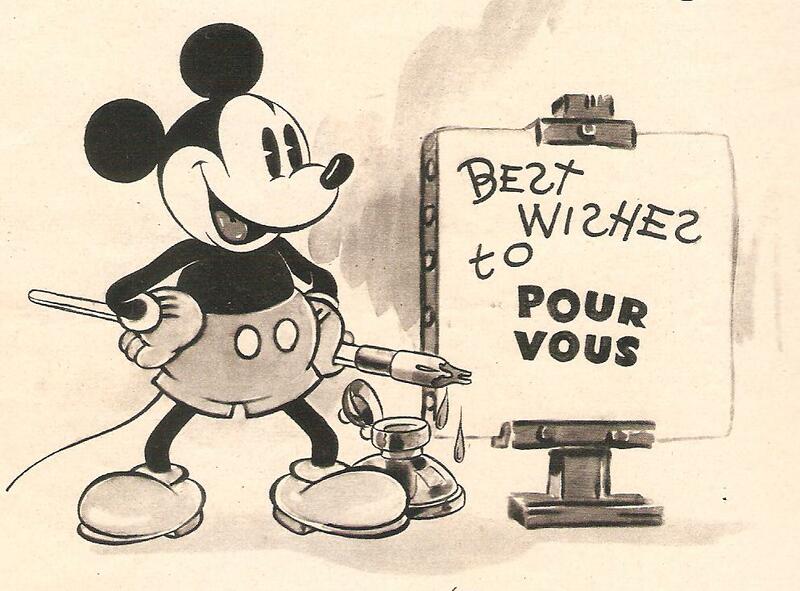 Mickey by Gottfredson, found in a French magazine from 1935. 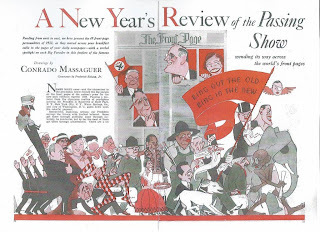 Interesting ad from Novemver 30, 1933.